Foot warts, also known as plantar warts, aren’t just unsightly, they’re also known for being uncomfortable and can develop between your toes and along the bottom of your feet, causing discomfort while standing or walking. 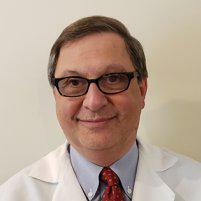 Board-certified podiatrist Philip Messenger, DPM, PLLC, offers modern, effective treatments to remove warts at his New York City practice, West Side Foot Care. You can get rid of those foot warts once and for all by scheduling an appointment with Dr. Messenger today. Call the conveniently located Upper West Side office or book an appointment online to learn more. What causes warts to develop? Warts are benign growths that develop because of a viral infection, often human papillomavirus (HPV), that penetrates the top layer of your skin. Since warts come from a viral infection, they’re highly contagious. You typically contract HPV by having an injury or damage to your skin, then walking around barefoot in an area where the virus is present, such as a locker room. Just as you easily contracted the virus, you can quickly spread it to others. So if you have warts, wear shoes or flip-flops in common areas and don’t share your shoes or socks with others. Do plantar warts cause symptoms? Sometimes, yes. Warts often appear as skin-colored, although they can also be dark brown or gray, or have black pinpoints. If you have spots that look like this, you may experience pain or tenderness while walking or standing, particularly while you’re wearing shoes that put pressure on the warts. Sometimes it’s hard to tell if you have foot warts since they can grow inwards and cause a callus. If you have a foot wart that develops inward, it tends to feel like there’s always a pebble in your shoe while walking. You might only have a few warts, although they can also grow in clusters. How are plantar warts treated? Because warts stem from an HPV virus, it’s important to be examined by Dr. Messenger if you suspect that you might have warts. If left untreated the wart can grow in size and additional lesions can appear increasing the pain. They typically appear on the heel or other weight-bearing areas of the foot. Generally, warts have three characteristics. Dr. Messenger will reduce the lesion and evaluate if the characteristics are there which are pinpoint bleeding, interrupted skin lines and pain with pinching from the side. Treatment is then started using a strong topical acid called Cantharidin. Treatment is every two weeks until complete eradication has occurred. Dr. Messenger has found Cantharidin to be highly effective and provides the patient no down-time from work or athletics. If the wart does not reduce with treatment, Dr. Messenger may recommend a biopsy to confirm the diagnosis. Also, as a preventive measure, Dr. Messenger cautions to avoid walking barefoot around swimming pools, gym and spa locker rooms. To get rid of your warts, call or book an appointment online at West Side Foot Care today.